This townhome is located on one of the most desirable streets in Sunset Pointe Townhomes as there are no rear neighbors behind you! 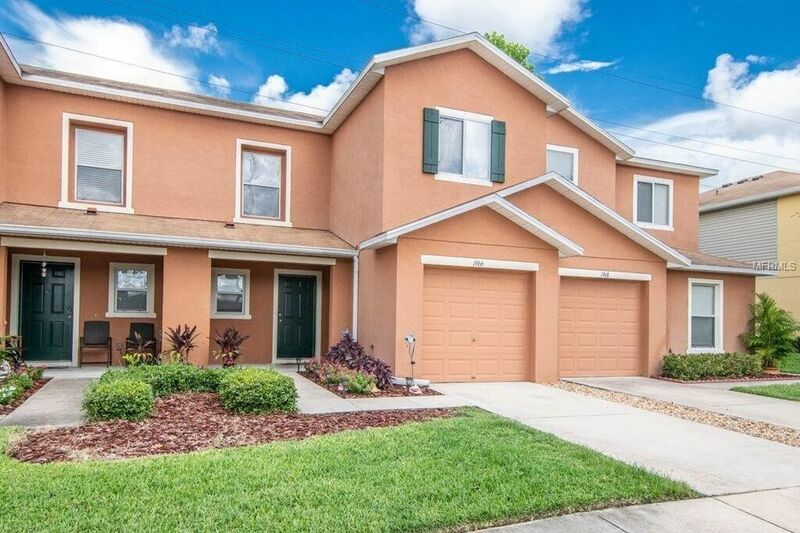 Beautiful & Move-In Ready! Features 3 bedrooms/2.5 bath/1 car garage & has been meticulously maintained by its original owners. From the minute you approach the home, notice the well-manicured landscaping & covered front patio. Enter through the foyer to the living room & find a half bath & plenty of natural lighting that showcases the newer laminate wood flooring that flows throughout the open floor plan. The kitchen features elegant tile with solid wood kitchen cabinets, modernized backsplash, pantry closet, dishwasher (2017), & breakfast bar. The sliding glass doors lead to a private & quaint back patio that has space for grilling & room for a romantic evening by a fire pit. The 2nd floor leads to a laundry closet with washer & dryer, sleeping areas, & a spacious hall bath with tub & shower. The Master Bedroom is able to fit a king size bed, has its own private en-suite bath with garden tub, separate shower, & a walk-in closet. 2nd & 3rd bedrooms are roomy & bright. HOA dues include cable/internet, roof, garbage, lawn maint, playground, & pool. No Flood Zone. Non-Evacuation Zone. Hurricane Shutters. Hot water heater (2016). Close to grocery stores, schools, shopping, movies & entertainment, medical, restaurants, airports, Clearwater Beach, Downtown Dunedin, & Safety Harbor! Call for your private showing before this gem is gone!